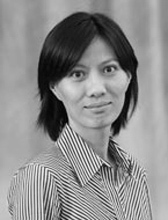 Sue-Ming Yang is an associate professor in the Department of Criminology, Law and Society at George Mason University. She received her PhD from the Department of Criminology and Criminal Justice at the University of Maryland in 2007. Her current research focuses on understanding the relationship between stereotypes, race, and perceived disorder in urban settings. She also studies place-based criminology, disorder-crime association, experimental research methods, and international terrorism. Prior to her appointment at Mason, she was an associate professor at National Chung Cheng University and received the Young Scholar Award in 2012. Terrorist Strategies and Tactics: When Do Terrorists Decide to Attack the US?